I do get where you're trying to go. Still, I pose this question and you're free not to want to answer it: don't you think that every - and I do mean every - piece of art (not just music, all art in general) ends up, well, dated somehow? I ask this because there is this general assumption (correct, in my opionion) that every piece of art, (in)directly reflects the time and context at which it was made. Therefore, isn't the concept of atemporality in arts basically moot - a myth, if you will? Once again, you're free not to want to reply or even approve of this comment. But I'm curious to know your stance on this nonetheless. It's a very interesting question that deserves a full and considered response (and I do plan to come back to it later on in TPL). 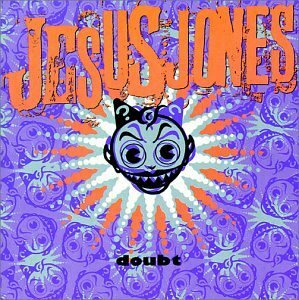 However, this is Jesus Jones we're dealing with here.